Due to the number of research groups working up here in Barrow, I had to surrender the crew cab truck for something a bit smaller. 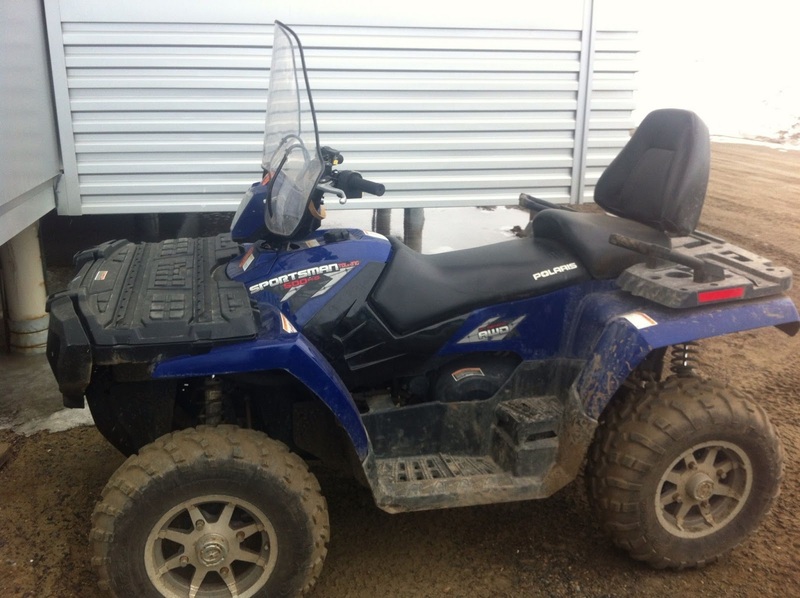 It's a Polaris 500cc quad with 4wd, locking diffs and low range. Not too bad. The handling is a little squirrelly on the road due to the short wheelbase but I just need to keep my speed down. Unfortunately, I didn't bring any gear up with me so after riding more than a few miles, I feel pretty cold. It has been below freezing for the last several days but hopefully it'll warm up a bit. I need to walk out to a shed about 1¼ miles from the road and there's a lot of ice on the walkway. I tried walking out this morning but it was pretty treacherous so I turned around. Yesterday afternoon, the CEO of Quintillion Networks had an open house in Barrow to let people know about their proposal to do a shore landing in Barrow from the Arctic Fibre cable. They have a really aggressive timeline and plan on having the service available in 2015. It is an interesting project and it was a pretty convincing story but call me a skeptic but I'll believe it when I hear of a fiber order placed by Arctic Fibre. Quintillion is the Alaska company that wants to build the Alaska shore landings. And it was a great opportunity to hear about their plans as I was one of the few people there who actually wanted to talk. Most people came for the free food. The price was right but the food wasn't that good. Heated frozen finger food from the box store and a veggie tray. I've wanted to talk to them for a while and this was a great opportunity. The shore landing sounds interesting. Are they trying to make it a great destination? The quad is a good choice for you if only they had warned you to bring gear. Sorry, I should have explained better. The shore landing is where and how you bring a underwater fiber optic cable onto land. It is a large, heavily armored cable that not only as the fiber optics but also power for amplifiers built into the cable. Here in the Arctic, the bottoms of ice burgs and multi year ice scrape the ocean bottom. In the shallower areas, the cable would need to be deeply buried. 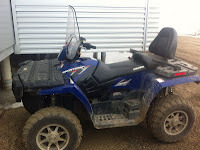 If I knew that I would be riding a quad, I would've brought gear with me. hmmm, undersea cables subject to being scraped by bottoms of massive icebergs....not difficult at all! you going to bring gear next time?